Fourteen SFD volunteers had a busy weekend loaded with training. Two members participated in The Art of Firemanship Days, a three day training session held in Harrisburg, PA. 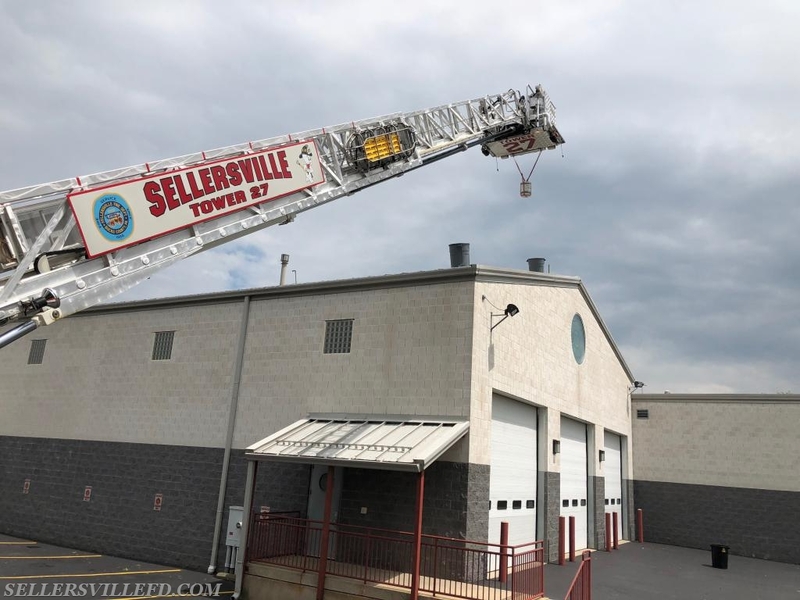 While there, they reinforced positive techniques in all areas of firefighting including strong and smart engine company work. 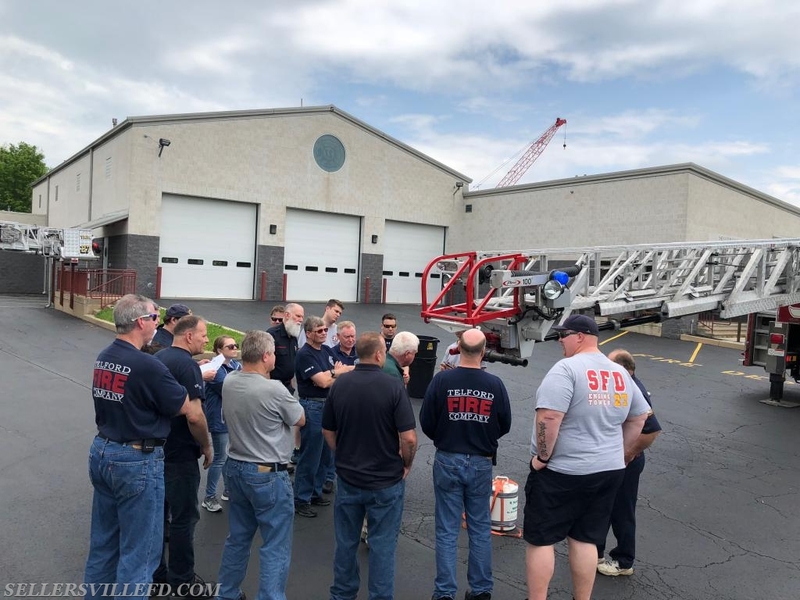 A dozen SFD volunteers enjoyed an Aerial Positioning, Placement, and Operations seminar presented by Retired FDNY Lt. Mike Wilbur. 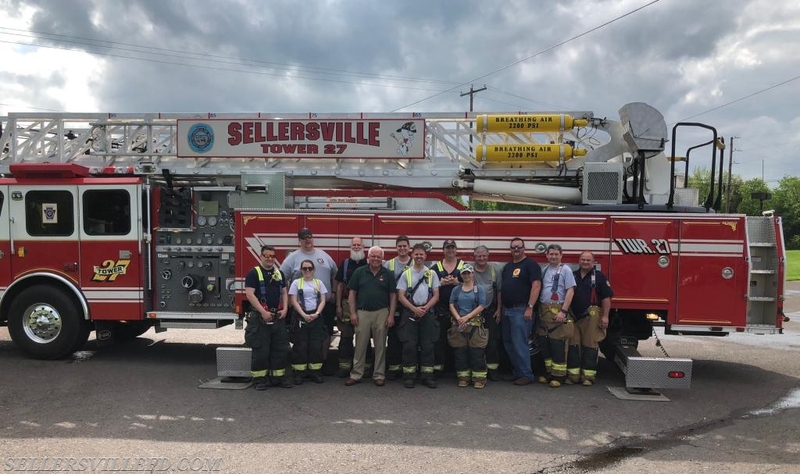 Volunteers from Perkasie and Telford were also in attendance. Lieutenant Wilbur covered various types of aerials, and explained their limitations and operational differences. 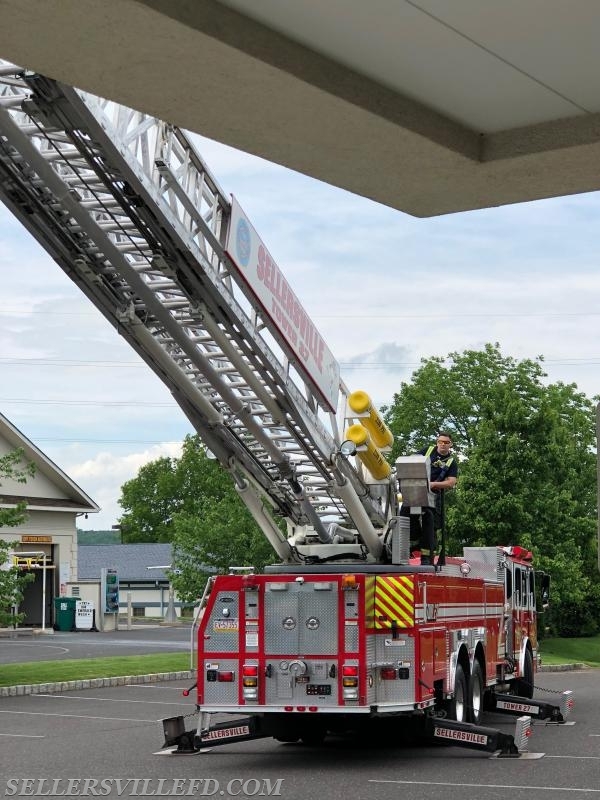 In the hands on portion of the class, apparatus placement was stressed, ensuring the truck is able to perform to the best of its ability. The class gets the plan from Instructor Mike Wilbur. The goal is to place the hanging bucket into the trash can. This drill helps with aerial operations and depth perception. Firefighter Conicelli checks the scrub area. The scrub is the area that is able to be reached with the ladder. 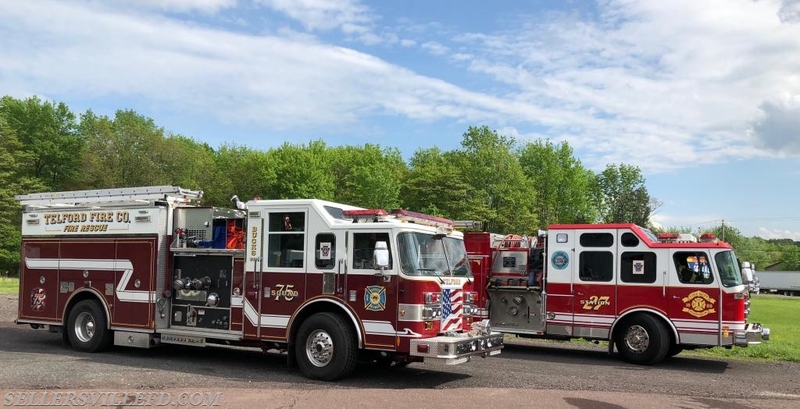 Squad 75 (Telford) and Engine 27-1. The group of SFD participants with Retired FDNY Lt. Mike Wilbur.